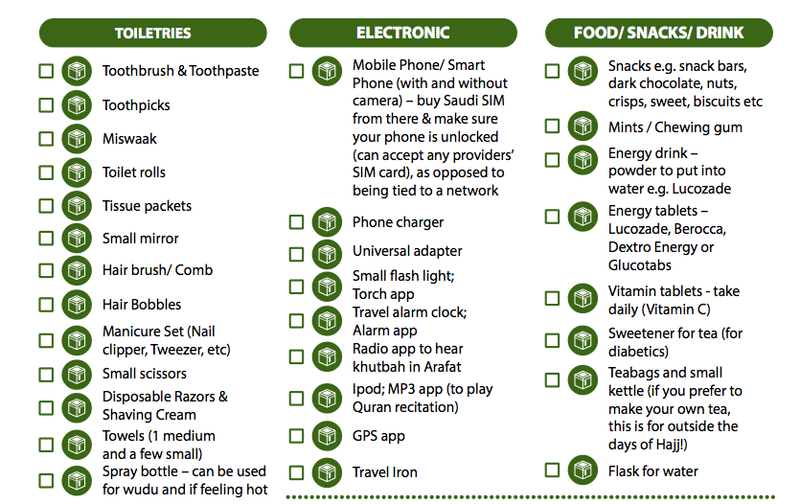 Download the Hajj & Umrah Packing and Check List absolutely Free. Have a look at some images below to give you an idea of what to expect. 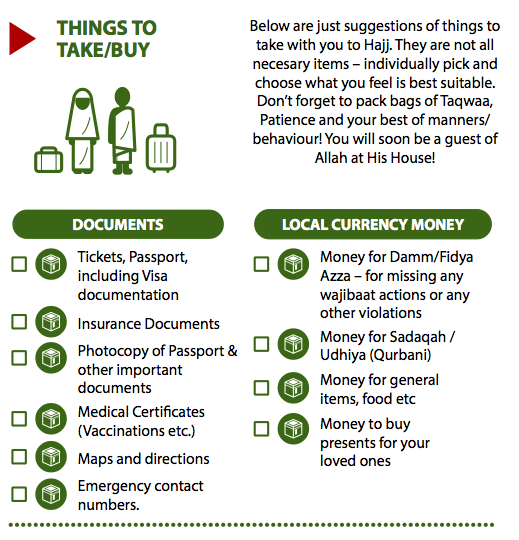 Simply a must read for anyone preparing for Hajj or Umrah. 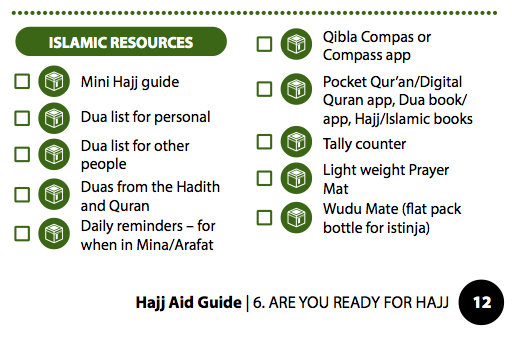 It's a very detailed 4 A4 size page PDF. 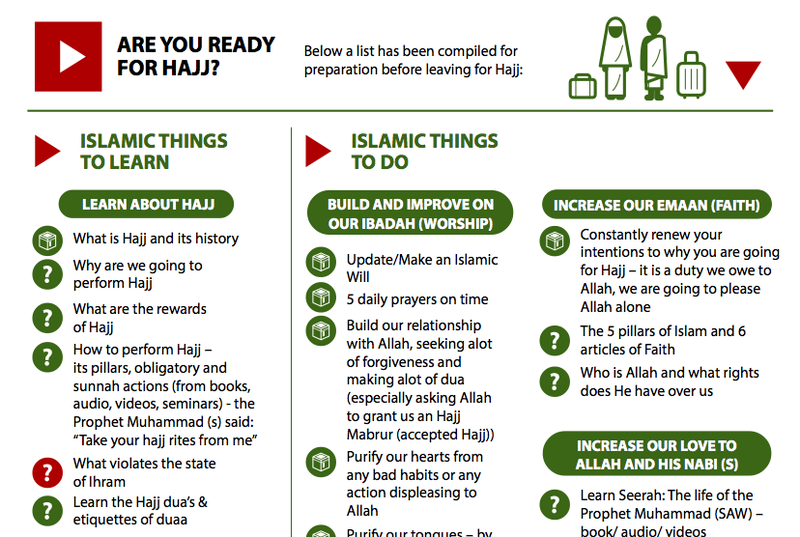 An information pack full of useful, easy to follow a checklist of things to do before your Hajj or Umrah.